I'm tring to install the addon v.centerline using the GRASS GUI 'Fetch & install extension from GRASS Addons'. I get the following message saying it's installed yet it doesn't show up. I tried restarting GRASS and still no addon available. 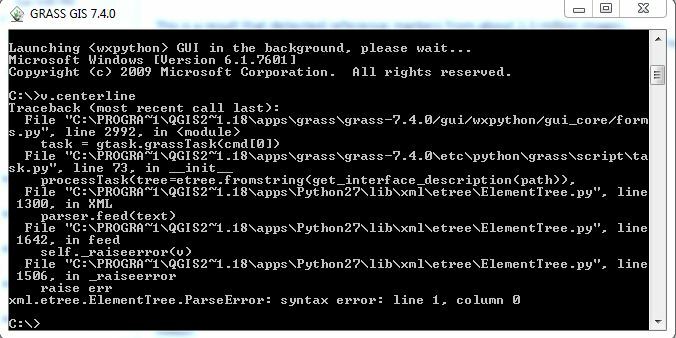 Ultimately I'd like to be able to run it in QGIS 2.18 but just getting it working here would be nice. I've tried other addons with the same result. Looks like the addon was successfully installed. 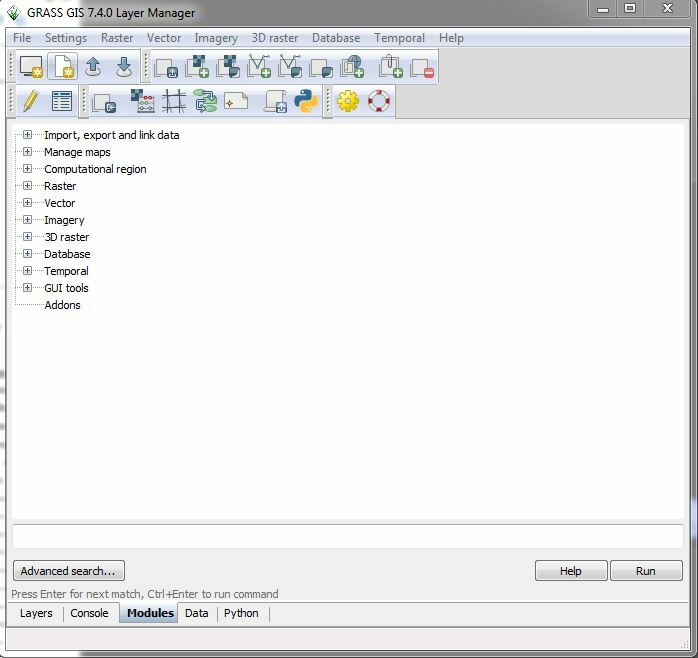 Have you checked the 'Addons' category in the 'Modules' tab of the 'Layer Manager' main window? It should be sitting in there. Not the answer you're looking for? 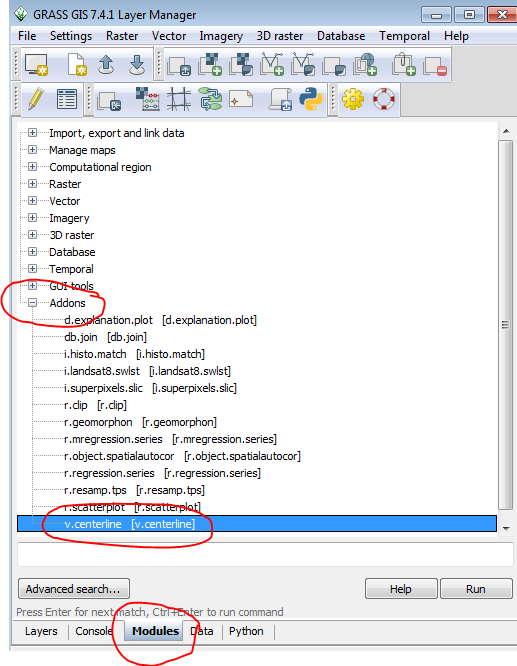 Browse other questions tagged qgis-2 add-in grass-7.0 or ask your own question.